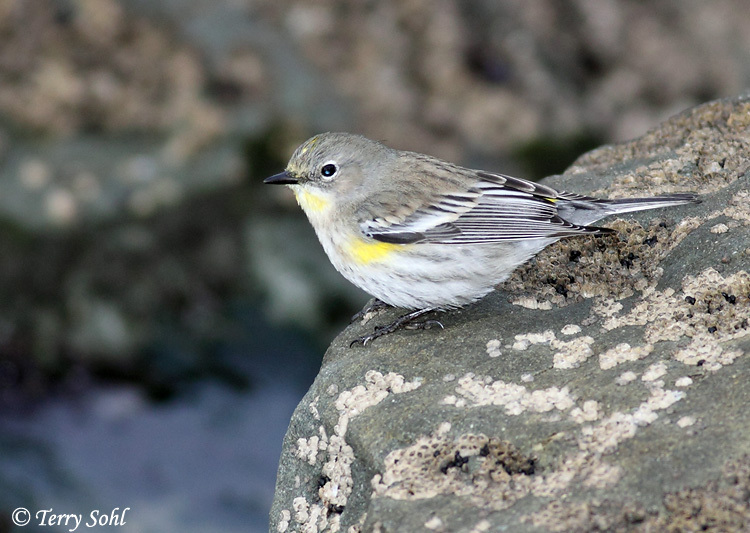 This photo of a Yellow-rumped Warbler was taken on December 17th, 2008 at Sutro Baths on the Pacific Coast in San Francisco, California. A species you see all over the United States, but it was weird for me to be on the coast watching Black Oystercatchers and Surfbirds, and see this guy pop up on a rock sticking out of the ocean. Taken with Canon 50D, 400 5.6L lens.